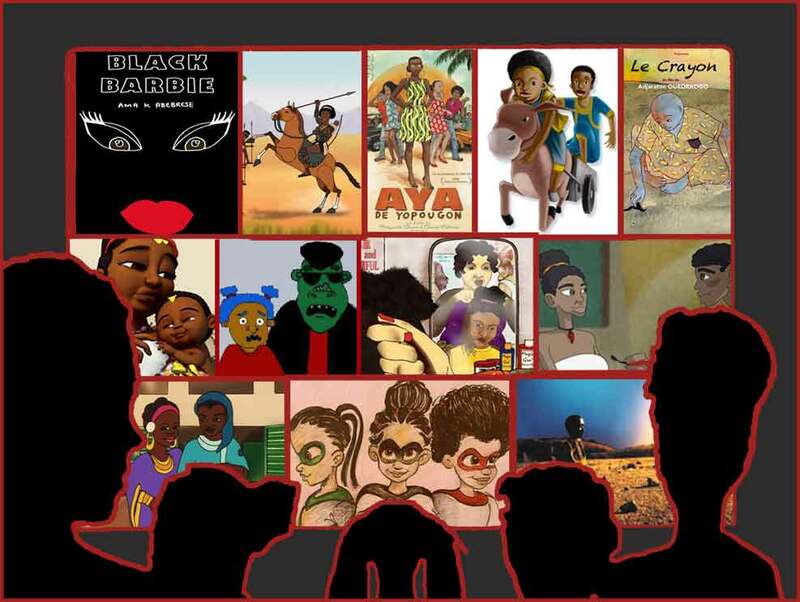 While animation cinema is not yet well developed in Africa, several African women have positioned themselves as important players in this domain, as animation filmmakers, creative producers and business partners. Cilia Sawadogo of German-Burkinabé descent, based in Montreal, draws from the rich oral tradition of Africa, and the everyday experiences of Quebec. Malian Kadiatou Konaté works both in documentary and animation. Her puppet animation film L’Enfant terrible (1993) traces the mischievous adventures of a little boy. Aïda Ndiaye co-directs Pictoon, the Dakar-based animation film company created in 1998. In 2000, Isabelle Rorke co-founded Anamazing Workshop, an animation production company in South Africa. 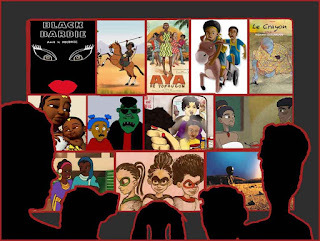 Moreover, Sade Adeniran, Marguerite Abouet, Comfort Arthur, Ng’endo Mukii, Nadia Rais, Ebele Okoye, Adjaratou Ouedraogo, Diane Sanou, Bruktawit Tigabu, are among a growing cohort of women in the field of animation cinema in Africa and its ever-growing diaspora. Animation requires a different approach to filmmaking. Initially we draw everything. It is not like conventional filmmaking where you tell an actor to cross the street, then the actor crosses and you shoot the action. In animation if I want my character to cross the street, I draw the action in twenty-four images per second to show him or her crossing the street. Aïda Ndiaye, a businesswoman in Senegal, is equally passionate about telling African stories and thus the start of a partnership with French-Cameroonian animation filmmaker Pierre Sauvalle to create the Dakar-based animation studio Pictoon. The internationally acclaimed Kabongo (2002), a 13-part cartoon series target for youth, made entirely in Africa, is the shining star of Pictoon. While there has been a burgeoning focus on animation filmmaking in Africa, it is important to recognize veteran filmmaker Mousapha Alassane of Niger, a pioneer in animation as early as 1966. As a result of the growing interest in this genre, several initiatives have been made to increase the efforts of continental-based production and exhibition of African animation films. The very promising trend of African animation film festivals attests to the success of this genre on the continent. Festival de cinéma d'animation africain de Ouagadougou (The African Animation Film Festival of Ouagadougou (Burkina Faso) was created in 2007. Senegal organized its first traveling festival of animation film, Festival Afrikabok, in 2009. Also in 2009, the African animation festival, Animafrik, was organized in Ghana. These sentiments resonate directly with the objectives of the Association Burkinabé du Cinéma d’Animation, who launched a crowdfunding campaign to finance the animated series Afrogames (2013). The Indiegogo site describes the project made in Burkina Faso : …[It] recounts tales of African society through the eyes of five children and their passion for the games and amusements of Africa. (6) Diane Sanou, co-writer and editor of the first episode of Afrogames led the crowdfunding campaign to raise the requisite budget for the implementation of the second episode of the series. Similarly, Pokou the Ashanti Princess (2013) produced by Afrikatoon, has a targeted audience of children from 7 years old. The protagonist, Abla Pokou who is a young woman, is based on a real-life history of a princess who played an important role in the history of Côte d’Ivoire and particularly the Ashanti kingdom. Hence, she serves as an empowering figure in general and as a role model for girls. Bruktawit Tigabu of Ethiopia has a similar objective for the animation project Tibeb Girls. As an elementary teacher, she works to improve literacy among her students, and finds it is even more urgent for young girls. Hence, the three young super heroines “take the audience on a fun, imaginative and educational journey”. Because of the dearth of film schools in Nigeria at that time, she went to Germany to study 2D Cartoon Animation at the International Film School Cologne. After graduation, she worked as studio animator and director/producer of her own short films. For The Legacy of Rubies (2015) project she partnered with the Nigerian animation production studio Shrinkfish Ltd, the producers of the film. Similarly, British-Ghanaian Comfort Arthur attempts to tackle the phenomenon of skin bleaching with her film Black Barbie (2017), where she comes to terms with her own issues regarding the colour of her skin. In addition, her 2018 film, Red is a semi-biographical short film about the childhood memories of her father. Report by Beti Ellerson updated 11 March 2019. (1) Conversation with Cilia Sawadogo by Beti Ellerson in 1997. Sisters of the Screen: Women of Africa in Film, Video and Television, Africa World Press, 2000. (2) Conversation with Cilia Sawadogo by Beti Ellerson in 1997. Sisters of the Screen: Women of Africa in Film, Video and Television, Africa World Press, 2000. (5) Conversation with Florentine Yameogo by Beti Ellerson in 1997. Sisters of the Screen: Women of Africa in Film, Video and Television, Africa World Press, 2000. (7) Aya de Yopougon un film d'animation gai sur l'Afrique "sans misérabilisme"
(10) Conversation with Cilia Sawadogo by Beti Ellerson in 1997. Sisters of the Screen: Women of Africa in Film, Video and Television, Africa World Press, 2000.